Ever since the Human Rights Act came into force in the UK it has divided opinion. Whose Human Rights Are Being Protected? In recent years the subject of human rights has hit the headlines on a regular basis. Often the individuals concerned face criminal charges, are suspected of an offence or are seeking asylum in the UK. Amongst some sectors of the UK's population there may be a belief that human rights are contingent upon the individual behaving lawfully – or, perhaps, holding a particular nationality. For several years prior to the 2010 General Election the Conservative Party had said that they intended to “scrap, replace or reform” the Human Rights Act if they came into power. Opposition towards the Human Rights Act tends to be on two grounds. Firstly, on the basis that the Human Rights Act gives too much protection to members of society who have behaved unlawfully. This could be by committing a crime or by coming to the UK on dubious or illegal grounds. Secondly, the Human Rights Act is considered by some to impinge upon British sovereignty by giving too much power to European judges. The Human Rights Act was drafted to give effect in the UK to European law. As a consequence, it sometimes overrides UK laws and the decisions of British judges. It is not always easy to distinguish between opposition to the Human Rights Act because it is somehow “bad law” and opposition because it gives too much power to Europe. The president of the European Court has been critical of the Conservative Party’s proposal to repeal the Human Rights Act and to bring human rights law back under the control of UK judges. He said that it would create a complicated legal situation and threaten the protection currently offered by European human rights law. The UK’s coalition government comprises two parties with very different approaches to Europe. Although the Conservative Party represents the majority of the coalition, it was forced to give some ground to the Liberal Democrat Party during the negotiations leading to the formation of the coalition government. The Liberal Democrats have traditionally been more pro-Europe than the Conservatives. As part of the coalition government, the Conservative Party’s broadly anti-European approach appears to have been softened. An immediate intention to repeal the Human Rights Act is not on the coalition government’s agenda. However, the coalition has said that it will explore the case for a UK Sovereignty Bill to ensure that the ultimate power to make decisions which affect the UK remains in the UK. The coalition government has also said that it will set up a commission into the creation of a British Bill of Rights. European Human Rights Law or a British Bill of Rights? The stated aim of a British Bill of Rights is to preserve and restore the rights and civil liberties which are fundamental to British society. Many of these civil liberties are considered to have been eroded in recent years. In addition to preserving – and enshrining in law – “British” rights and liberties, a British Bill of Rights could also incorporate the obligations contained in the European Convention on Human Rights. This new law could replace the Human Rights Act to ensure that European human rights law is implemented in a way which preserves the security and sovereignty of the UK. A new law could also redress the perceived imbalance in the current application of human rights law. 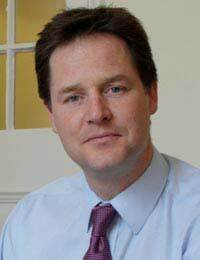 Nick Clegg, the Liberal Democrat deputy leader of the coalition government, has said that he intends to promote a better understanding amongst the public of the current Human Rights Act. By setting up a commission into the question of introducing a British Bill of Rights, the new government has delayed the decision on whether the current Human Rights Act should be repealed. Further, it has said that a new British Bill of Rights would not necessarily replace the Human Rights Act. The decision not immediately to repeal the Human Rights Act has angered many Conservative party members. It may also alienate some supporters who believed that, by voting for the Conservative Party, they were voting for the end of a controversial law. Achieving a viable coalition government has led to compromises by both the Conservatives and the Liberal Democrats. Some of these compromises will inevitably anger supporters of the respective parties and lend ammunition to opponents who interpret the willingness to compromise as a loss of political integrity. Do I Need to Worry About Human Rights? There is a Human Rights abuse being conducted within the NHS. 1. secret unsafe clinical trials 2. Conditioning/ intentionally making people ill. Supply and demand the more people ill for clinical trials. 2004 change in policy the use of humans in clinical trials is open to abuse. Banking sector behaves with impunity, unethical behaviour becomes a norm. It is worst in the NHS. At least in the banking sector most activities are visible. The NHS the abuse is secret. When there is no transparency there is no responsibilities and accountabilities. No review on clinical trials by MHRA No lengthy paperworks Fast access to test results/harvest test results. It is important that other countries can check & balance other member countries for abuse of Human Rights. UK Bill of Rights, will EU able to have a say what is going the human rights abuse within the NHS? The European Convention and The 1998 UK Human Rights Act are both in violation of The International Bill of Human Rights and have been from the start of the former in 1950. The Universal Declaration of 1948 was 'Proclaimed' as "The International Bill of Human Rights", not 'an International Bill' that could be ignored by any and all UN Member States. By doing so in 1950 the Council of Europe violated its Articles 1 & 30, as well as the UN Charter, because they excluded almost all Economic, Social and Cultural Rights, and made the few they included 'optional' for States to implement. Yet no UK Lawyers and Barristers are interested in using The International Bill of Human Rights, which has been "legally binding" since 1976, and the 20th Aug 1976 in the UK in particular. Even the Supreme Court has ignored that in all of their Judgements as far as I've seen or read. So please check out - http://you.38degrees.org.uk/p/bill-of-rights - and spread the word, about the fight for truth. If a million people supported this they would have to answer it. Get a life Louise, the HRA is here to stay - and anyway lots of lawyers make a good living pushing useless acses through the ECHR. The problem is not that the HRA is binding on the UK but that greedy lawyers push cases through that shoudl have been consigned to the waste bin at first notice.